Why can’t I use the warp stabilizer and the rate stretch tool on the same clip? Why do some of my cross dissolves look funny? Is there a way to apply an effect to multiple clips easily? 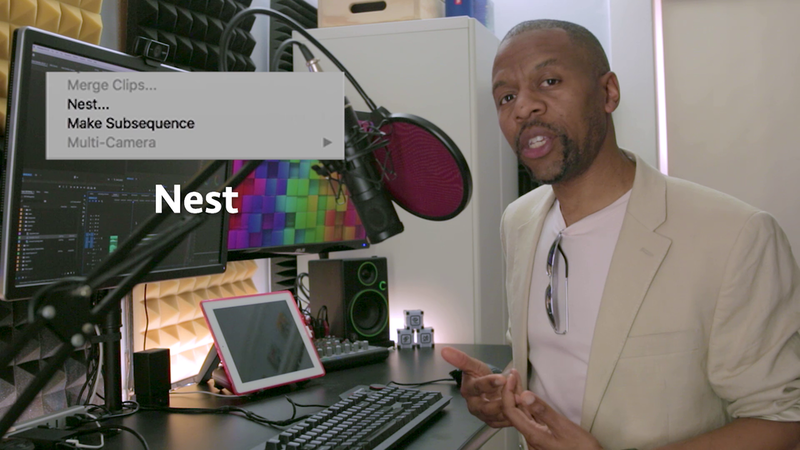 There is one option in Premiere that you should become familiar with and that’s the NEST option. So here are some reasons you might want to nest your footage. Nesting clips in Premiere Pro allows you to use an entire sequence as a clip. When used correctly, nesting clips is a great way to save time and cut down on complexity in your video editing. In After Effects people call this Pre Composing. Nesting clips basically takes those clips, creates a sequence from those clips and replaces the nested clips with the new sequence. Watch the video to find out how and when to use Nests. I also show a neat way to nest only Audio if you need to.